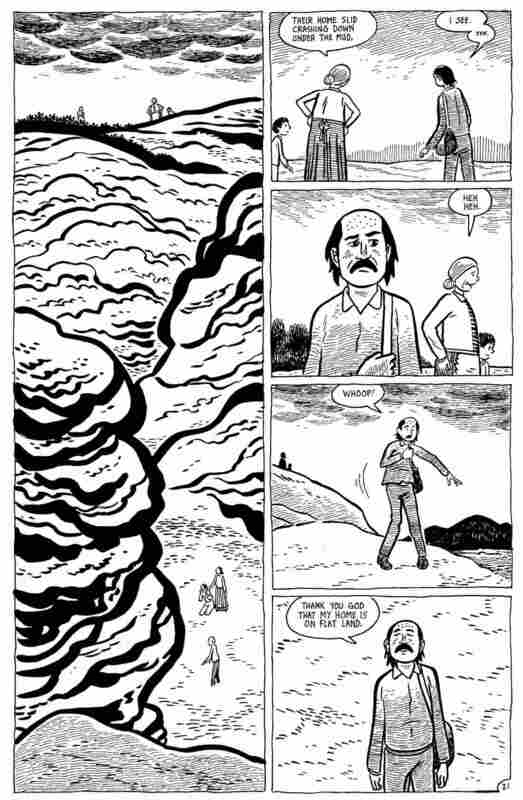 Exclusive First Read: 'Julio's Day' By Gilbert Hernandez Read an exclusive excerpt of Love and Rockets co-creator Gilbert Hernandez's latest, Julio's Day, with an introduction from author Brian Evenson. It's a lovely, hallucinatory, often wordless story of a man whose life spans the 20th century, and the close-knit community he lives in. Julio's Day introduction by Brian Evenson, author of Windeye. 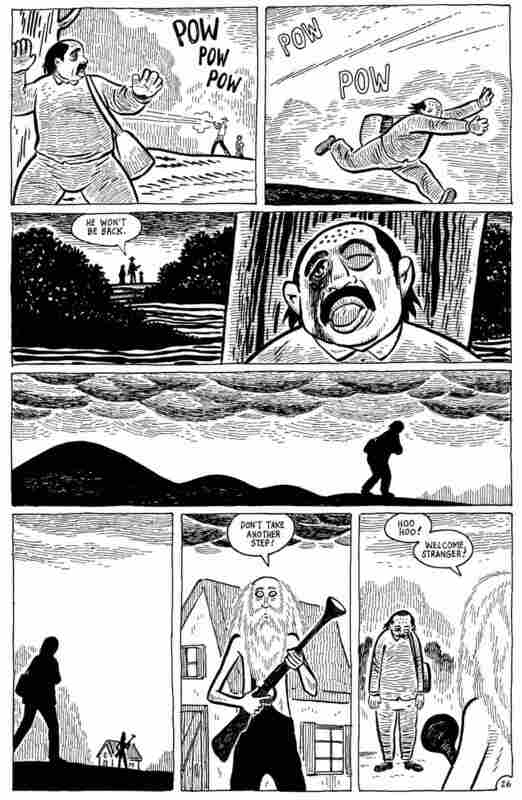 Gilbert Hernandez's Julio's Day might be read as an illustration of the above quotation from Beckett's play, and of the words that follow it: "They give birth astride a grave, the light gleams an instant, then it's night once more." 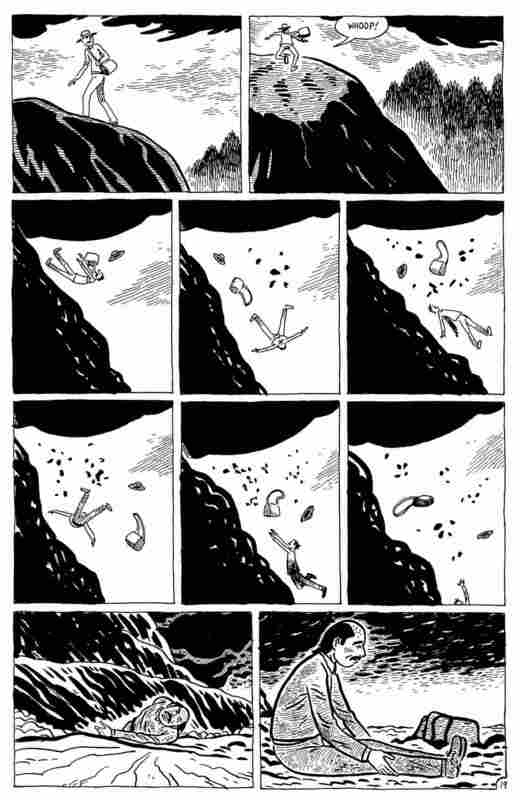 The graphic novel begins with a panel of darkness, nothingness, but by the second panel we've pulled back far enough to see that the darkness is the inside of a baby's mouth. The baby is Julio, and we'll stay with him and his family for exactly one hundred pages as he grows from zero to the ripe old age of one hundred and then dies. 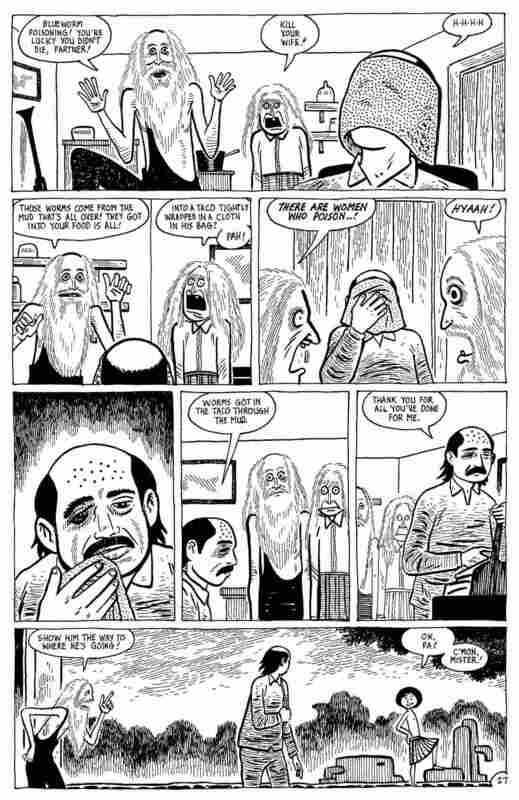 We'll leave him in the same way as we first met him, but in reverse order: the second to the last panel offers an old man's ravaged mouth, followed by a final panel of darkness, nothingness. But where Beckett sees the shortness of a man's life as cause for despair and dismay, Hernandez is interested in celebrating a life fully, in all its shortcomings and joys, all its ups and downs, all its risks and limitations. Despite the death, illness, abuse, and war that fill these pages, despite many serious familial and personal struggles, there is little bitterness here. 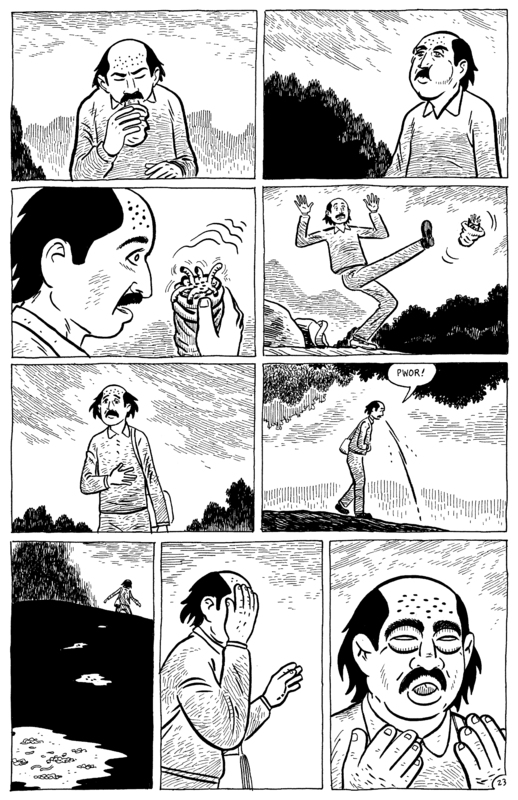 Hernandez's characters have a remarkable ability to persist, to keep on. Even those that struggle to find their place in one generation (including those who never shake free from denial about who they are), help pave the way for the freedoms claimed by those that follow them. 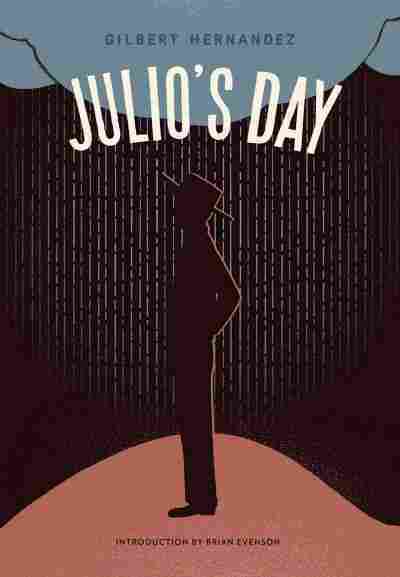 Julio's Day is a story of one man's life, but it's a great deal more than that as well. It's the story of the life of a century, also told as if a day. 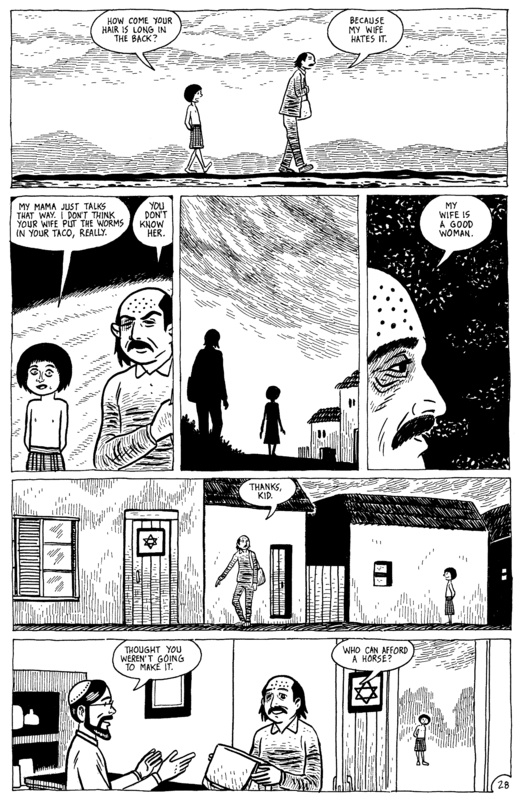 Beginning with Julio's birth in 1900 and ending with his death in 2000, the graphic novel touches on most of the major events that shaped the 20th century. We see wars, ruinous weather, changing fashion, changing attitudes, but Hernandez very wisely doesn't give us these things in historical terms. 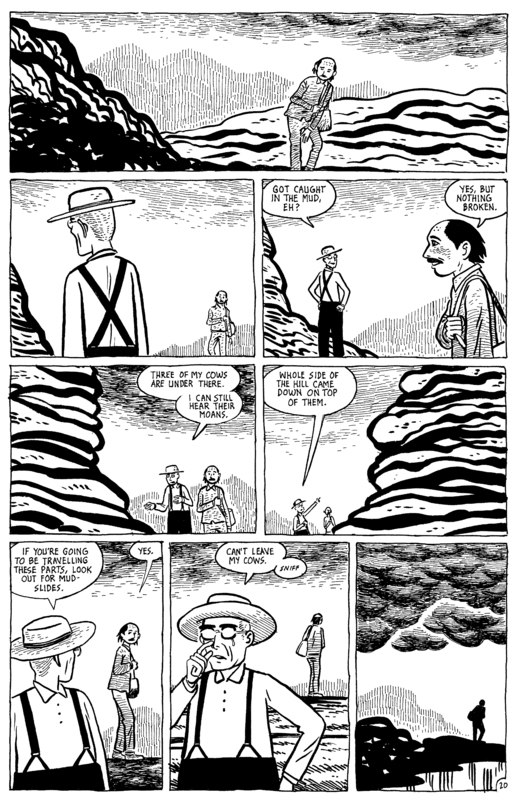 In fact, outside of the images and the characters' speech (there are no panel captions), he does nothing to let us know where we are in the century on a given page, and often we don't know quite what year we're in. The characters don't feed us information: Hernandez's guiding principle is to let them only say what's natural, and only say it when it's natural. Hernandez operates quite deftly, by inference and suggestion. 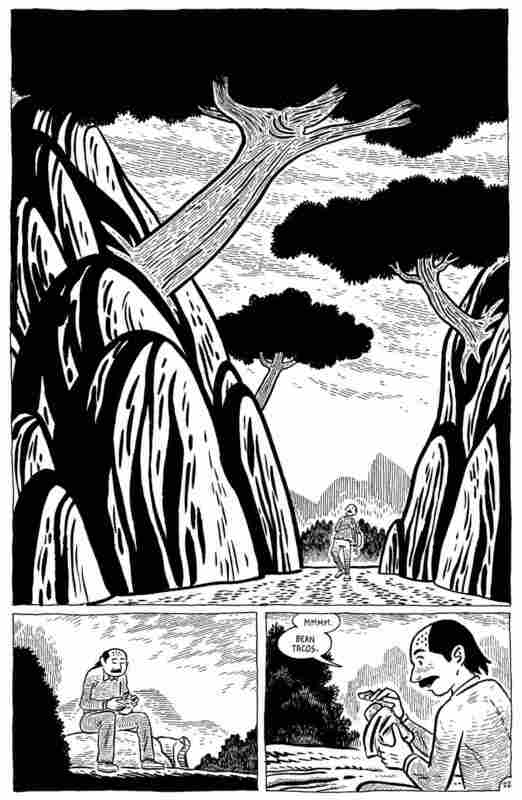 We don't know, for instance, why Julio's father takes the trip that nearly kills him (and which ends up sealing Julio's brother's fate years later as well) until he arrives at his destination, and then we're only given it with several well-placed images and two speech bubbles. That's one of the great strengths of Julio's Day and one of the great qualities of Hernandez's style in general. He touches a great many serious topics, but does so with remarkable lightness. He gives whatever is at hand an attention that at once seems fleeting and full, and he can switch quickly from one scene to another without losing our interest or attention. 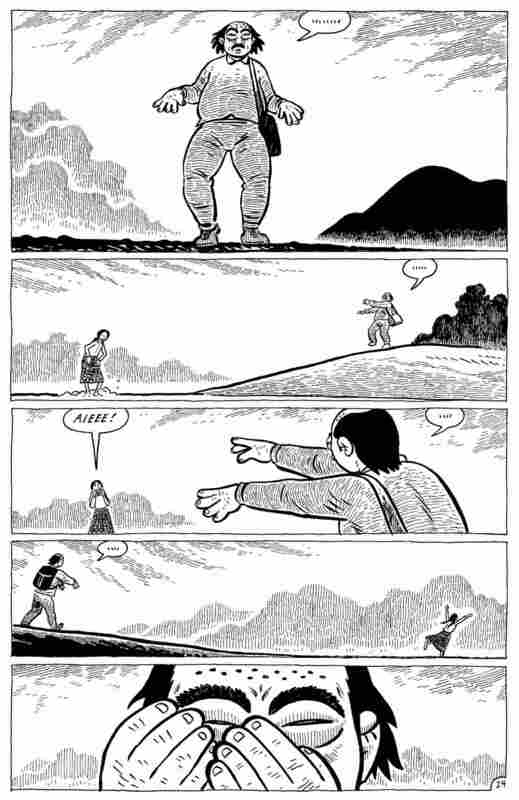 Characters can flit by, be present and amazingly rendered for a few panels, and then suddenly disappear for good. But they can just as easily reappear after an eighty-year absence. Even the more central characters can age dramatically from one page to the next as the years pass and yet still be recognizable. 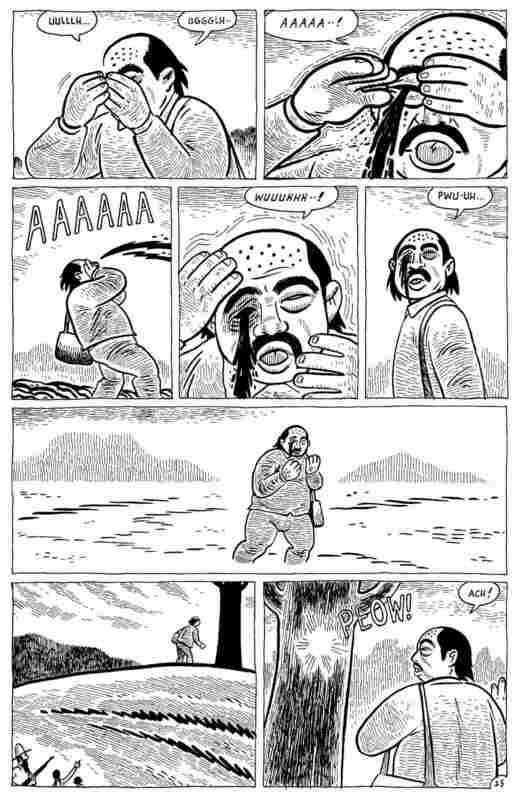 The amazing speed with which things change from page to page and even from panel to panel is one of the real charms of Julio's Day. Hernandez doesn't overdirect us: he lets us figure things out for ourselves, just as we do in life. He doesn't insist on the echoes that occur across generations or between characters, but leaves the threads there for us to pick up. He lets us make our own tenuous connections, which makes them all the more powerful, and all the more valuable. 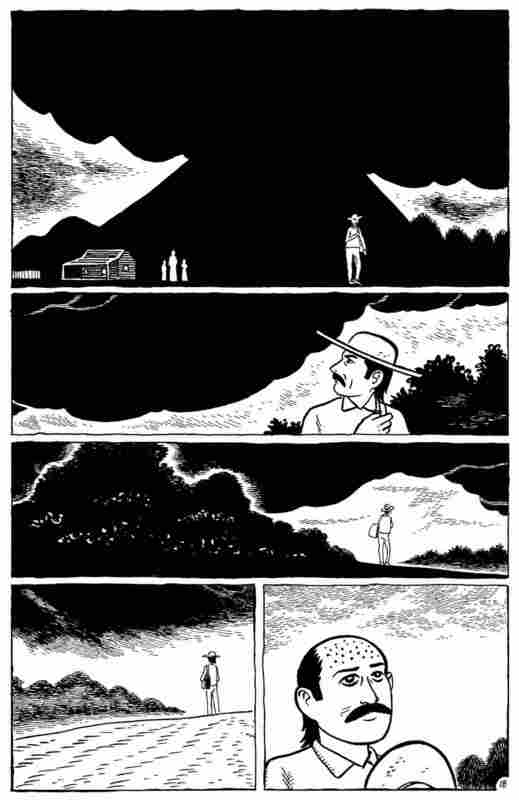 This is a stunning graphic novel, by someone who is one of the major voices in the field, and is sure to hold surprises even for those aficionados of Hernandez's other work. In this scene, Julio's father sets out on his perilous journey. Reader advisory: some of these pages include graphic depictions of illness. Julio's Day will be published April 17. Julio's Day copyright 2013 Gilbert Hernandez. Reproduced with permission from Fantagraphics Books.